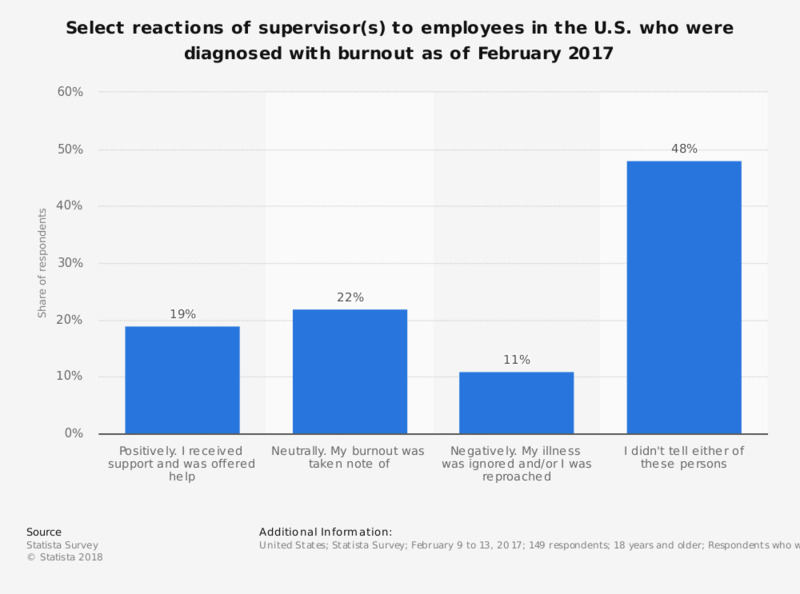 This statistic shows the distribution of select reactions of supervisor(s) to employees in the U.S. who were diagnosed with burnout, as of February 2017. It was found that 22 percent of respondents stated their supervisor reacted neutrally to their burnout diagnosis. Original question: How did your supervisor(s) react to your burnout? How important a consideration is it for you that your current or future employer is supportive of personal travel for pleasure or leisure?